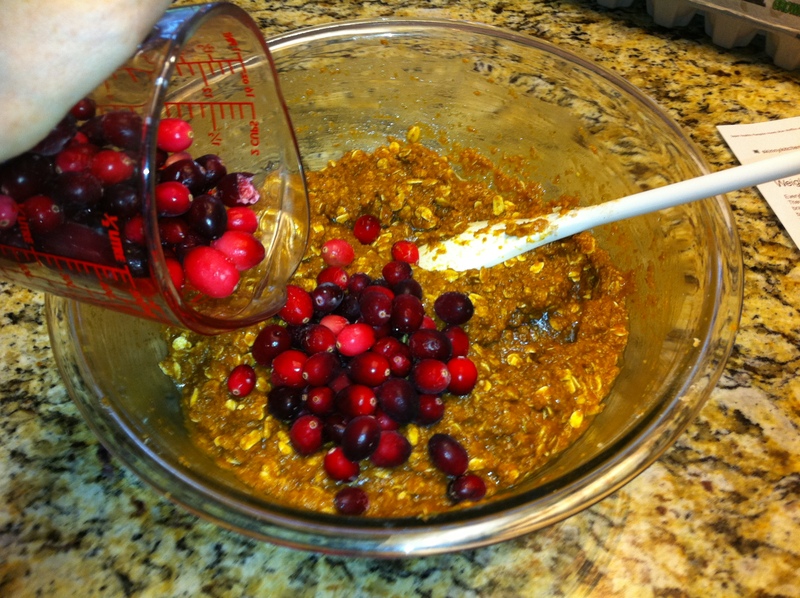 Yogi’s Breakfast – Pumpkin Cranberry Bran Muffins, Fruit, Yogurt and Walnuts! Last week I finally got away for a retreat! There is something about just totally getting away from the hectic world and being in a peaceful place without the pressures of everyday life and things to be done. A time for inner reflection and meditation and silence. That’s one of the things I like best about going on retreat is the silence. The retreat center that I go to is not only incredibly beautiful and provides a quiet environment, they also serve delicious vegetarian meals. 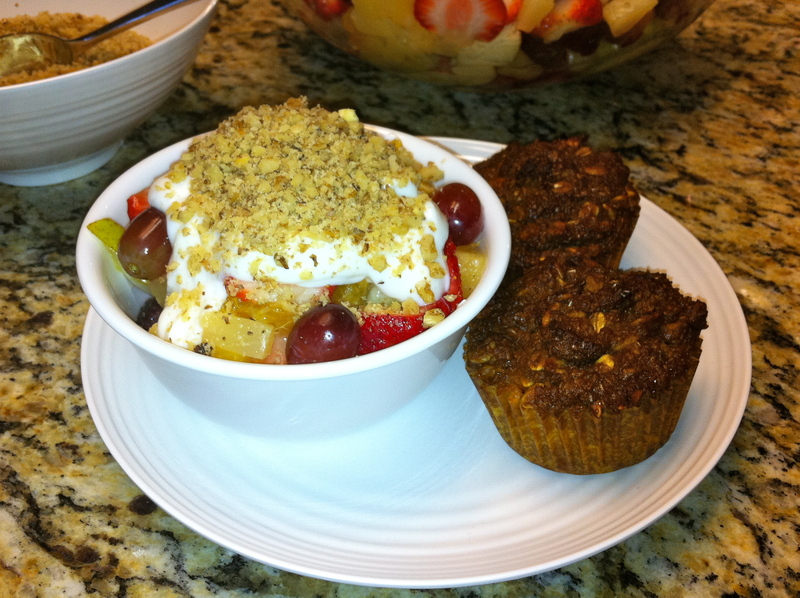 This is one of my favorites–fresh fruit topped with plain yogurt and ground walnuts served with a bran muffin. 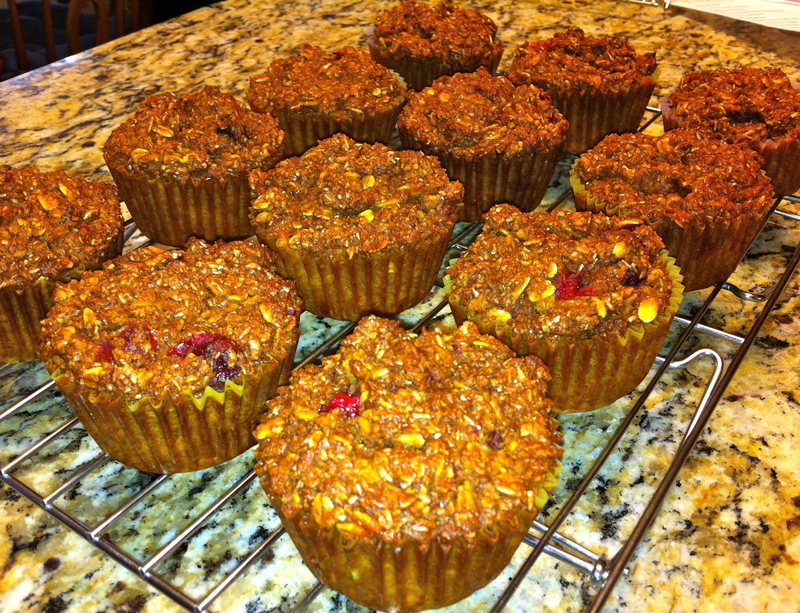 So here’s a recipe that adds a little kick to an otherwise dry, boring bran muffin by adding pumpkin and cranberries, and is particularly healthy since the muffins are sweetened with honey instead of sugar. 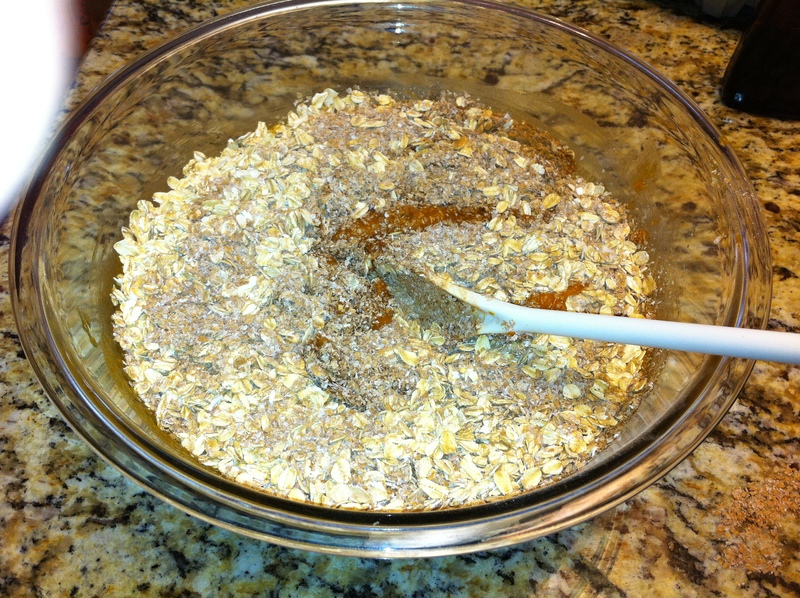 It is adapted from skinnykitchen.com’s Super Healthy Pumpkin Honey Bran Muffins. These are so moist you won’t need to put anything on them. You can see the awesome photos from my retreat here. I think the Lake Shrine is perhaps the most beautiful place in the world! Preheat oven to 350 degrees. Place muffin liners in tin. 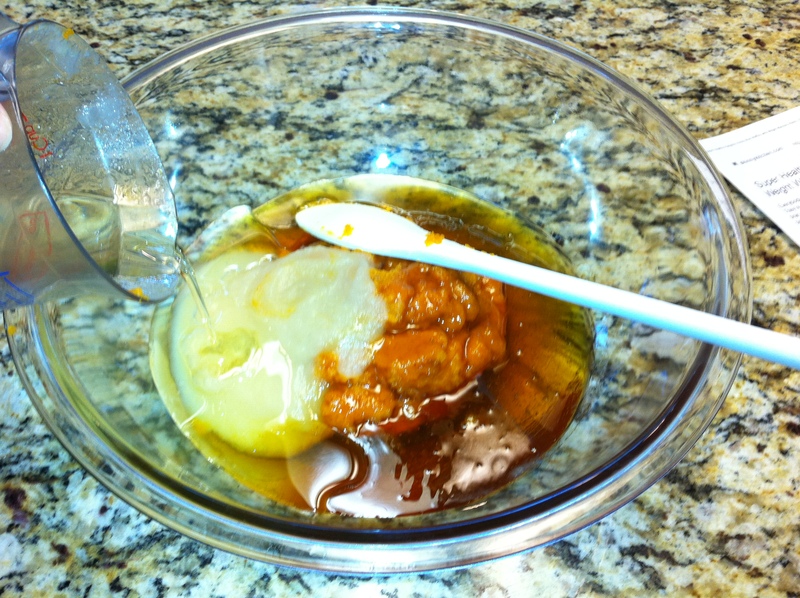 Place pumpkin, honey, applesauce and oil in large bowl and mix together. 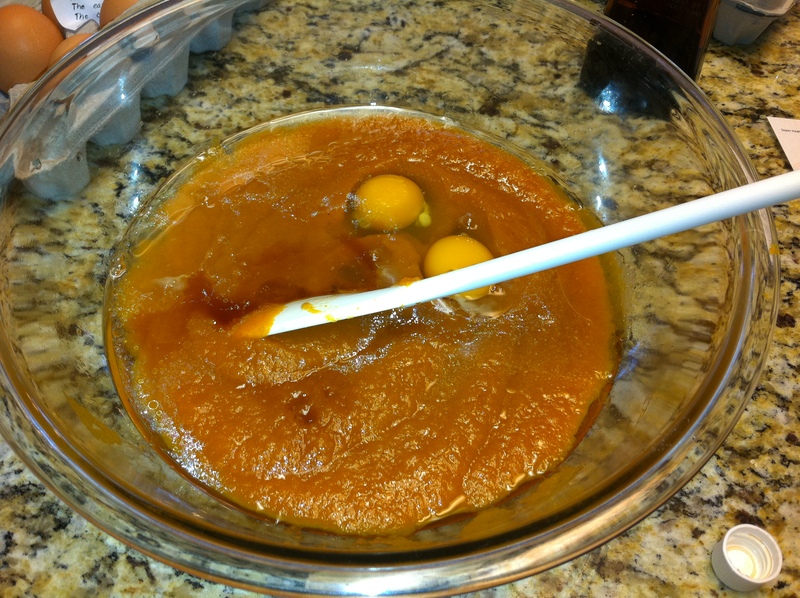 Mix in the wheat bran, oats, pumpkin pie spice, baking soda and salt. 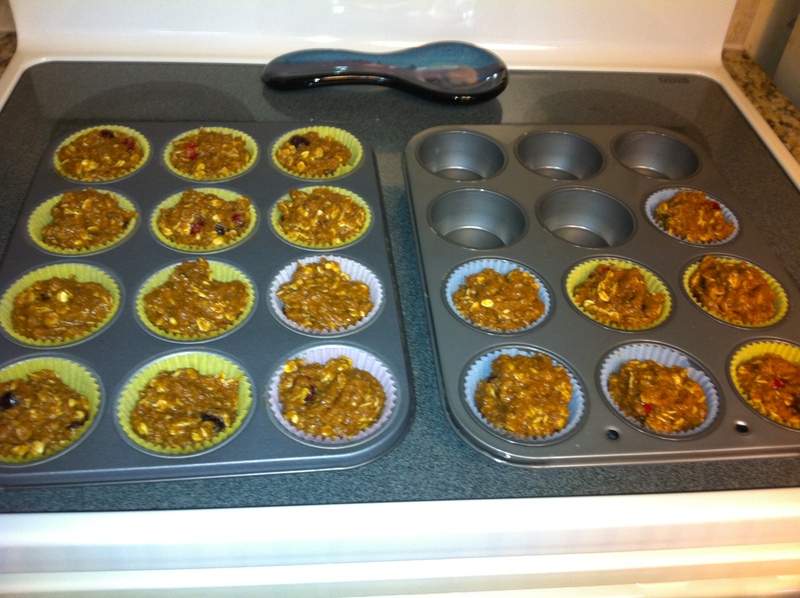 Drop into muffin tins and fill to the top. Bake for approximately 40 minutes or until toothpick comes out clean. Remove from oven and cool on cooling rack.